Japanese owners Okouchi Kaiun and Fukuji Kisen have each placed an order at China’s Cosco Dalian Shipyard for a single ultramax bulk carrier. According to a report by shipbroking house Banchero Costa, delivery of the two vessels are expected towards the end of 2019. 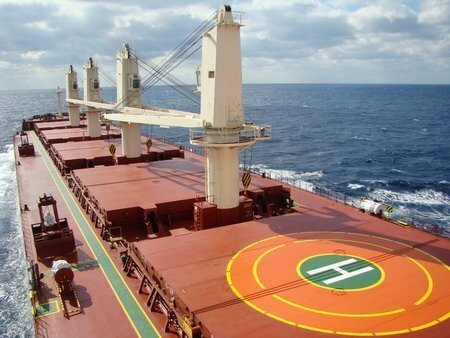 Japanese shipbuilders, renowned for building bulk carriers, have been facing fierce competition from neighbouring Chinese and South Korean yards whose bulker prices have become increasingly competitive tempting more Japanese owners to choose foreign yards. Fukujin Kisen currently operates a fleet of 28 vessels made up of 24 bulkers and two containerships and two tankers, while it also has three tankers and two bulkers on order. Okouchi Kaiun operates a fleet of five bulkers and two containerships.